If you think the Raspberry Pi 1 (or 2) is cool but its credit-card size is a bit too big, the Raspberry Pi Foundation has what you need: the Raspberry Pi Zero. For only USD $5, you have a full computer that fits in 65mm x 30mm x 5mm and weighs 9g. 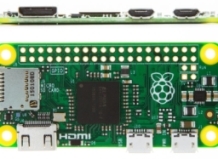 The Raspberry Pi Zero is built around the the Broadcom BCM 2835, the same processor than in the Raspberry Pi 1. This processor includes a single-core CPU @ 700MHz and a VideoCore IV GPU that supports OpenGL ES 2.0. 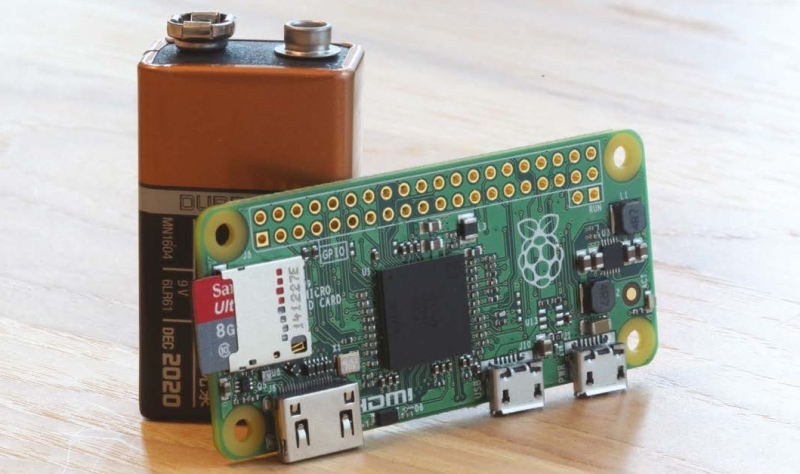 Other features of the Raspberry Pi Zero are: 512MB of RAM, mini-HDMI, micro-USB power connector, micro-USB connector (for keyboard for example), a micro-SD card for the operating system, an unpopulated 40-pin GPIO connector (unpopulated: you have to use a soldering iron to connect a wire). The issue #40 of the MagPi has a 30-page article about the Pi Zero. A must-read!